Many people remark that visiting with Alfred and Rolf Merkelbach at their home in Ürzig is like travelling into the past; not much has changed here in 50 years, including the brother’s approach to winemaking. 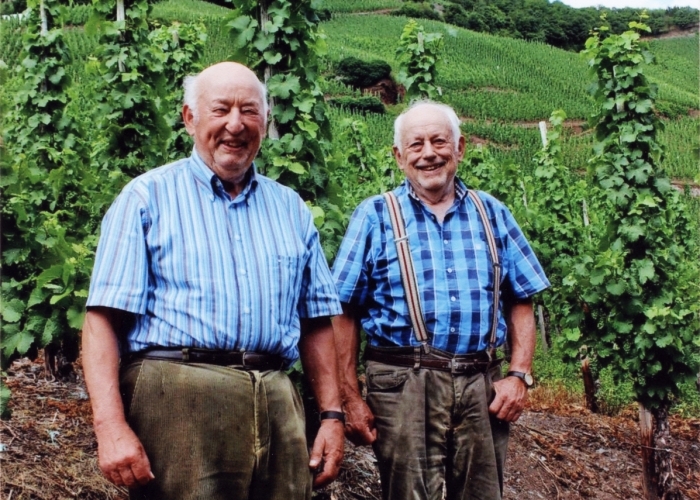 Well into their seventies, Alfred and Rolf still tend the vines and make the wines with little help: heading into the steep Würzgarten and Treppchen to tie the posts, harvest, and then even racking off the large fuders they use for fermentation and blending. The vineyard holdings of this tiny, 1.9 hectare estate are divided between the Ürziger Würzgarten, Erdener Treppchen, and Kinheimer Rosengarten. Wine cultivation is ancient on these sites, lying just off the Mosel between Ürzig and Erden is the excavation of a Roman press house. When most of the Ürziger Würzgarten vineyards were replanted during the re-alignment of the vineyards (called “Flurbereinigung”), Merkelbach’s vines remained on original rootstock, with an average vine age of 45 years. The Merkelbachs are firm believers in tradition, and while changes in climate and style preferences have pushed up must weights and produced profoundly riper wines, the brothers craft wines of a style more typical to an era long forgotten. Kabinetten are still refreshing, Spätlesen taste like Spätlesen, and oechsle levels rarely exceed the Pradikät range. The Merkelbachs vinify each parcel separately, each fuder representing a different parcel. 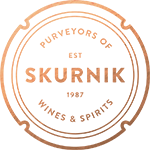 Because of their tiny cellar, their pradikät wines will never be a blend of any more than 2 parcels together, indicated by the fuder numbers on the label’s AP code.